Happy New Year! 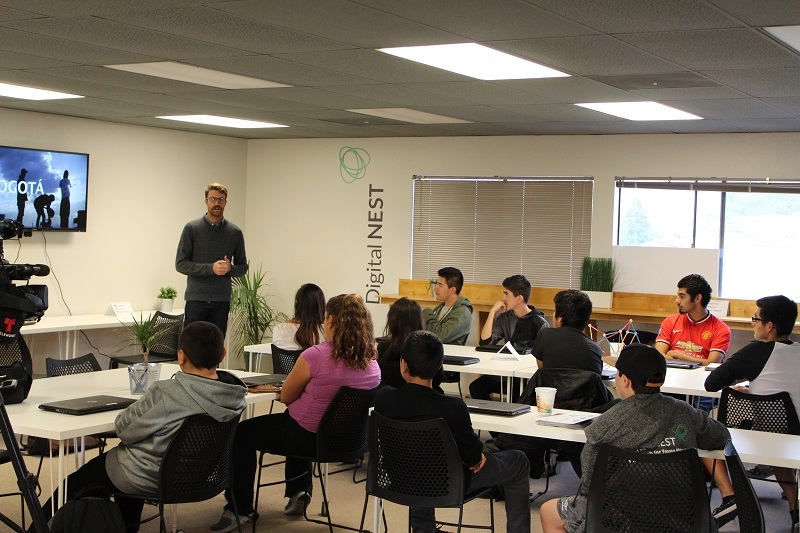 We’ve been busy this past year at Digital NEST—and very likely that “we” has included you! If so, thank you. If not, this year ahead offers ample opportunities to get involved and make a difference at the NEST. In December we hosted a Week of Code packed full with workshops, while members continue their progress on the Film-making path and celebrated the holidays together at the NEST. Thank you for being with us in our first year. We can’t wait to share with you all that our members will accomplish in this new year. Fun title aside, the Week of Code was our extended take on the national event, Hour of Code, which was formed in recognition of the growing need for programmers in our economy and the current educational gap. We hosted a workshop daily for a week, offering a variety of programming topics, each presented by a different industry professional. Mobile Apps with Frank K.
Our first industry professional-led Week of Code workshop was Making Mobile Apps, with local UI/UX graphic designer Frank Krueger. 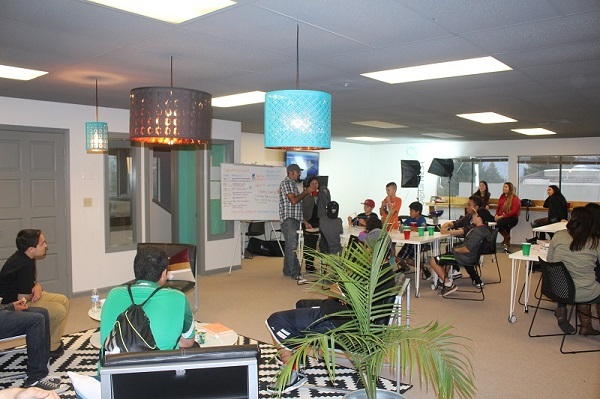 The members worked as a team to brainstorm their own app, and learned how to make their app a reality. 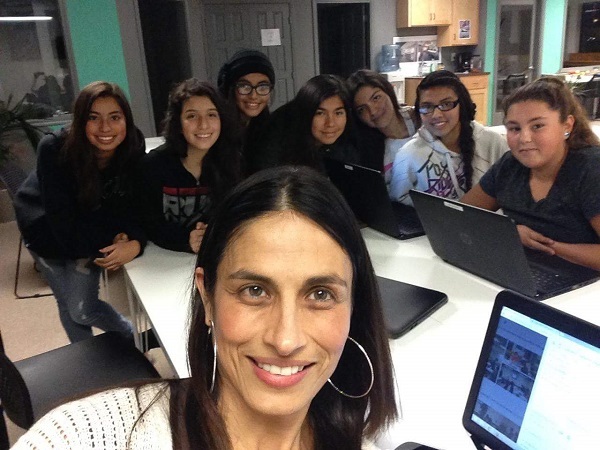 Women in Tech led by Raquel R.
Raquel Romano, a Senior Engineer at Google, joined us for the last day of Week of Code to share her experience as a tech professional and inspire girls from the NEST to pursue their goals in tech. 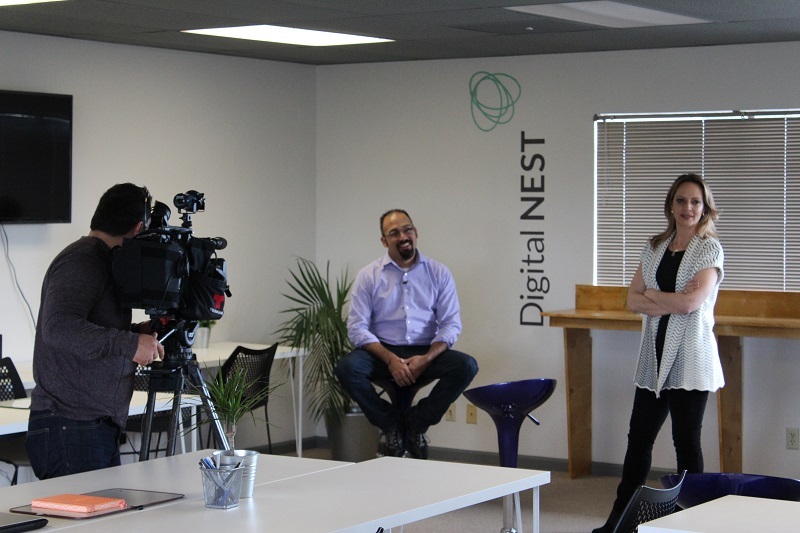 Telemundo also joined us that week to showcase Digital NEST as for tech education for youth space a predominantly latino community. 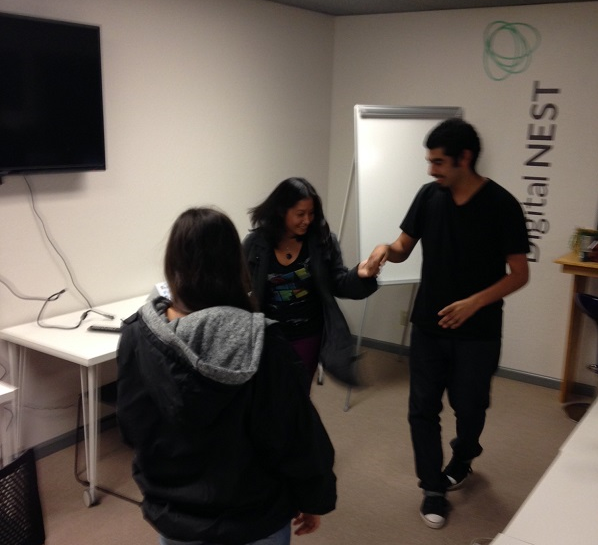 Community at the NEST: Dance and Design! One of our pillars here at the NEST is cultivating a safe space for youth. A power outage from last month’s heavy rains gave us an opportunity to step back from our computers and learn some dancing with Program Manager Yazmin. In honor of Martin Luther King Jr, on January 19th Santa Cruz county is celebrating with a Day of Service. Here at the NEST in partnership with YouthSERVE, ‘digital native’ members will be here from 10am to 1pm to help work with seniors* with basic computing issues. If you or someone you know would be interested, come on by and we’ll see how we can help! If convenient, bring your phone, computer, or tablet that gives you the woes. *The Digital NEST will not be carding for age at this event, so if you’re under(senior)age and think our members could help you with a computer problem, please drop in and join us on Monday the 19th, 10am-1pm.